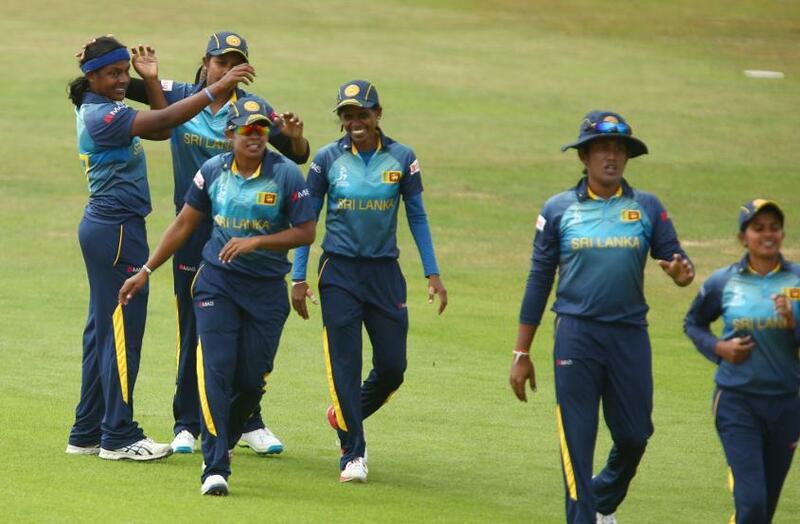 Pakistan and Sri Lanka are both looking to end their ICC Women’s World Cup campaign on a high in Leicester this Saturday and all-rounder Shashikala Siriwardena believes a positive attitude can earn Sri Lanka the victory it craves. Both sides have lost all six of their ICC WWC games to date but have the opportunity to finish with a win at Grace Road. Sri Lanka lost by eight wickets to South Africa last time out and despite being without a victory to their name, there have been positives to take form the competition. Siriwardena is convinced her team is learning with each passing match and is confident of putting it all together against Pakistan. “We will be going in with a positive attitude because, apart from against South Africa, we have done really well against good countries in this tournament,” she said. “Our batters always try to pass 200, that’s a huge achievement for us in this kind of tournament. “We are really happy with the batting performance in this tournament, we have a good combination of spinner and fast bowlers, so we will go into the game with Pakistan with a positive attitude and we would like to go back to Sri Lanka with the win. “It’s really important that we bounce back against Pakistan because we have the ICC Women’s Championship over the next few months, so winning against Pakistan would be a big boost for us as a unit. Rain affected Pakistan’s previous match against West Indies, as it eventually lost by 19 runs on the Duckworth-Lewis-Stern method. Like Pakistan, Sri Lanka too have lost all six matches. Javeria Wadood made an unbeaten knock of 58 in that loss and captain Sana Mir claims the confidence her side should take from an improved batting performance can lead it to a first win when it takes on Sri Lanka. “The batting has not been up to standard, so I’m very happy that it is improving and we were able to get a 50 in the last game,” said Sana. “It was very important for the top order to score runs in our last game, and we need to bring our A-game in all three facets. Having only one of batting, bowling or fielding working in a match is not enough and that’s what we’re trying to address for Sri Lanka. “It’s very promising to see us getting some runs, Javeria is an extremely important player for us, and it’s important to finish on a high note. “Sri Lanka is playing some good cricket, but it’s good that our batters are playing in a good place. In Sri Lanka, the match can be watched live on Channel Eye and channeleye.lk. For further information, contact your local listings. Sri Lanka: Inoka Ranaweera (captain), Chamari Athapaththu, Chandima Gunaratne, Nipuni Hansika, Ama Kanchana, Eshani Lokusooriya, Dilani Manodara, Harshitha Madhavi, Chamari Polgampala, Hasini Perera, Udeshika Prabodani, Oshadi Ranasinghe, Shashikala Siriwardena, Prasadani Weerakkodi and Sripali Weerakkody.